As a dietary supplement, take two capsules daily following a meal. It is recommended to use the product for a short period of time as the prolonged use of such a preparation may develop body system tolerance which is associated with a need for using higher doses to achieve the same effect. The time needed for regeneration is individual and depends on i.a. the adrenal condition and the restored physiological functions. It is suggested that the regeneration lasts for at least few months and is affected not only by the proper supplementation but also by the proper diet, sleep hygiene, rest and stress. 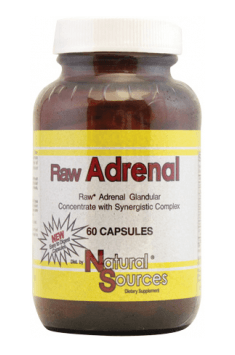 The supplement is the most beneficial for people with mild or moderate adrenal gland exhaustion. It is believed that in case of these stages the supplementation will bring the best effects, for example energy increase, stress reduction and higher resistance to stress. It supports effective methylation processes in the organism. Dietary supplement containing PureWay and citrus bioflavonoids. Supports the immune system and gastrointestinal tract.